When loking over all the deep-fried and cheese-laden appetizers on the Cheesecake Factory menu, the diet-conscious may regard lettuce wraps as their best bet. Lettuce wraps became the darling of the dieting set when low carbohydrate diets were at their zenith. 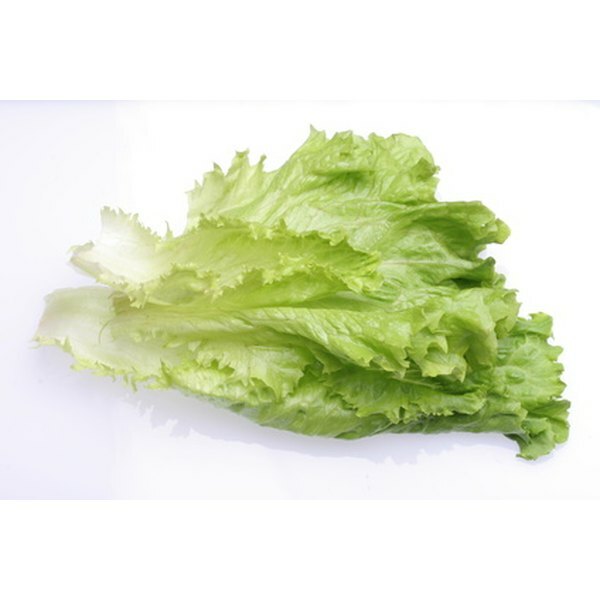 But if you are trying to restrict your total caloric consumption while maximizing nutritional value, lettuce wraps may start to lose their allure. If you thought you were being smart by skipping an appetizer and choosing the Thai Chicken Lettuce Wraps as your entree, you will be disappointed to learn that one plate with six wraps has 1,536 calories, roughly half a day's worth for the average non-dieting man, or about three-quarters the daily allotment for a non-dieting woman. If you also had drinks and dessert, you pretty much consumed or exceeded your daily allotment of calories in one meal. A plate of Cheesecake Factory Thai Lettuce Wraps contains 96gm of protein. The average individual needs about .8gm per kilogram of body weight, which is pounds divided by 2.2. If you use this formula, a 150 pound adult needs about 54gm of protein daily. So you would have more than satisfied you protein needs if you consumed the whole plateful. You may have thought you were keeping it low-carb by passing up the pasta and choosing the Lettuce Wraps instead. But your plate of wraps packs 114gm of carbohydrate, making up 30 percent of the total calories. Roughly 60 percent of your total daily calories should come from carbohydrates, so if you didn't eat anything else that day, you were well below your total daily requirement. The not-so-bad news is that a plate of Cheesecake Factory Lettuce Wraps contains only 6gm of fat, albeit saturated fat. That translates to 54 calories, or about 4 percent of your meal's total calories. Fat should make up less than 10 percent of your total daily calories, so you're good there. According to the 2005 Guidelines for Healthy Americans published by the U.S. Department of Health and Human Services, healthy adults should restrict sodium intake to under 2,300mg daily. If you have high blood pressure, kidney disease or diabetes, the daily recommended allowance is only 1,500mg. Cheesecake Factory's Thai Chicken Lettuce Wraps contain 2,346mg of sodium, so if they're on your menu for the day, you'll want to restrict all other sodium consumption. Michelle Matte is an accomplished fitness professional who holds certifications in personal training, pilates, yoga, group exercise and senior fitness. She has developed curricula for personal trainers and group exercise instructors for an international education provider. In her spare time, Matte writes fiction and blogs.